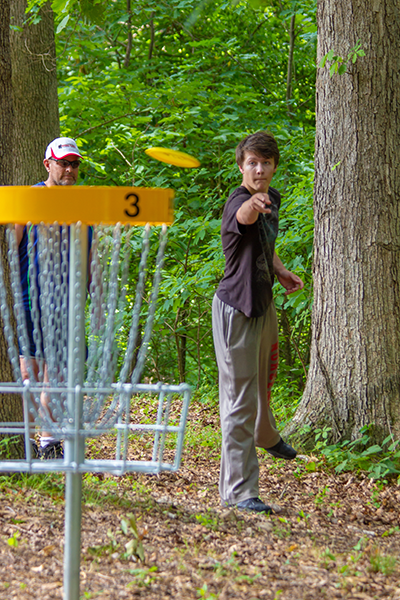 We are excited to announce the opening of the Branchwood Disc Golf Course. Anyone can play this scenic 18-hole disc golf course. 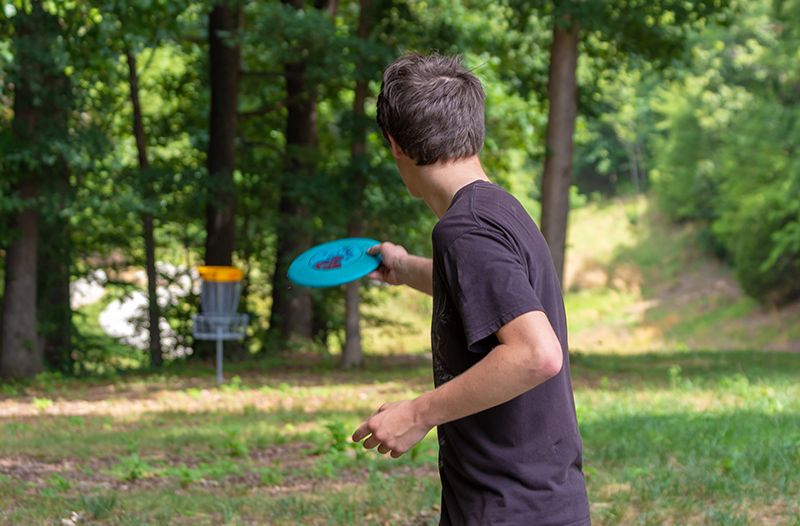 Disc Golf is played like traditional “ball” golf, but with disc golf discs instead of balls and clubs. One stroke is counted each time the disc is thrown and when a penalty is incurred. The goal is to play each hole in the fewest strokes possible. Each hole begins by teeing off. Players must tee off from within the designated tee pad. The lie is the spot where the player’s previous throw has landed. The player’s subsequent throw is made from directly behind the spot where their previous throw came to rest. A Mando is one or more designated trees or poles in the fairway that must be passed as indicated by arrows. If a player passes the Mando on the wrong side they must play the shot as if it went out of bounds, or they must throw back to go around the correct side of the Mando. 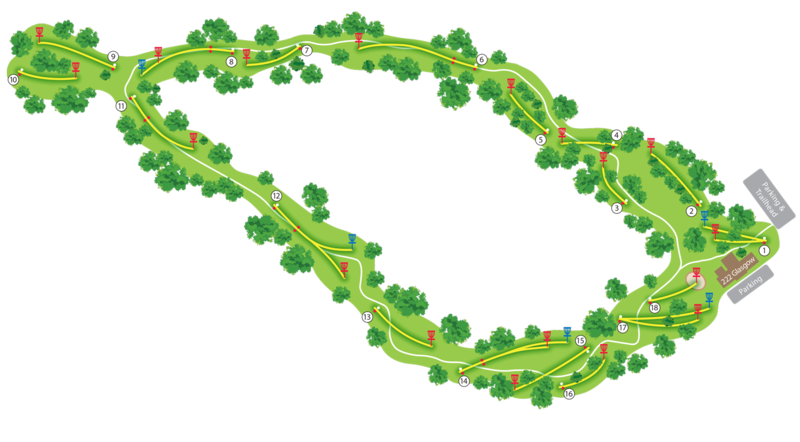 A disc that comes to rest in the disc golf basket basket or chains constitutes successful completion of that hole. If a disc comes to rest entirely past the OB line it is considered out of bounds. If any part of the disc is in bounds the disc is considered in play. All roads are out of bounds. Other OB areas on the course will be marked on the tee signs.